With inflation continuing to reduce the power of our pounds, we all want to ensure we get the most out of every penny we spend. 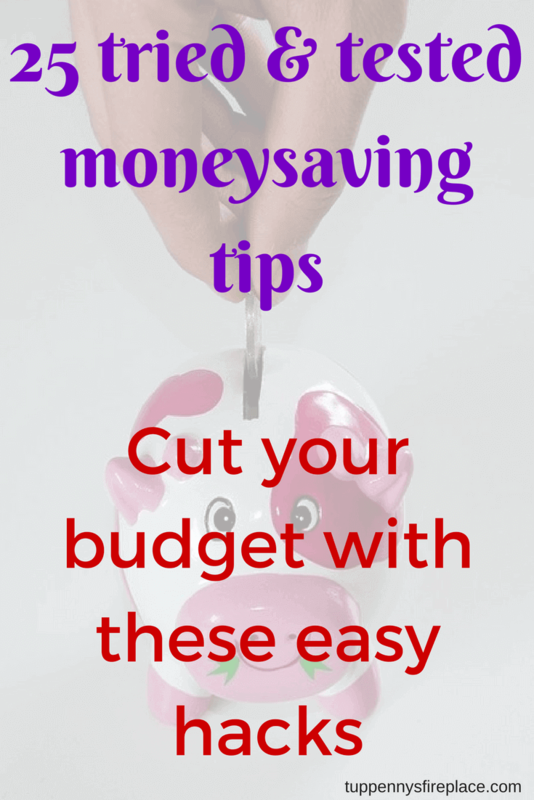 Finding easy money saving tips around the house and when you are out and about is an ideal way to help you stretch your budget. When your budget is tight you will want to look at ways to save money to see if you can find some quick wins to free up those pounds. Many of your bills are set and you can’t change how much you pay such as your mortgage and rent. Your household and grocery spending are areas that are more flexible and are ripe for reducing costs. 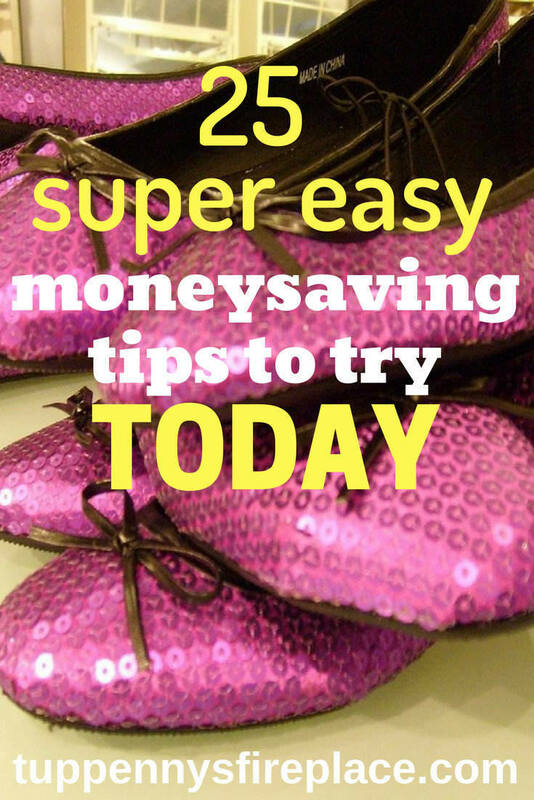 These 25 super easy money saving tips will help you learn how to save money from your salary. Some you may not have thought about before along with a few classics. Choosing the best ways to save money for you is always a personal choice, what you are willing to cut down on someone else might not. 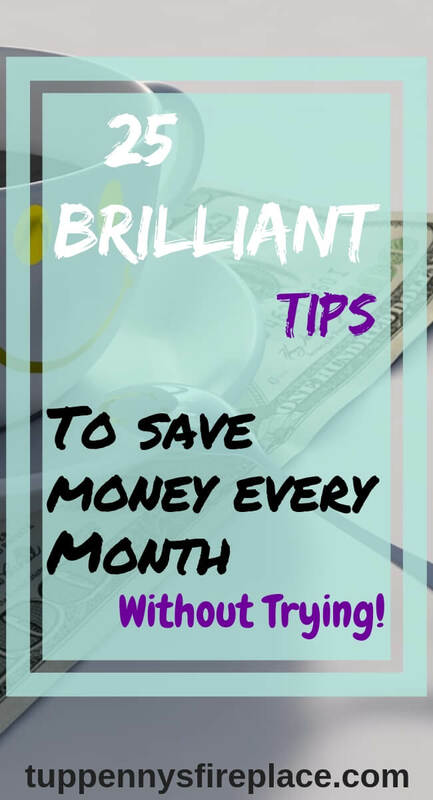 The trick is to know as many different money saving tips and ideas as possible and choose the best ones that you know will work for you. 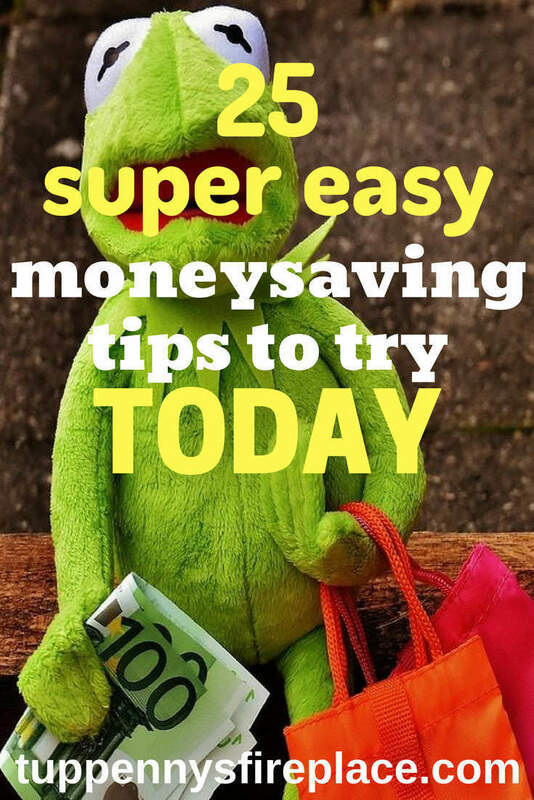 21 Money Saving Tips For Beginners – How To Start Saving Big NOW! 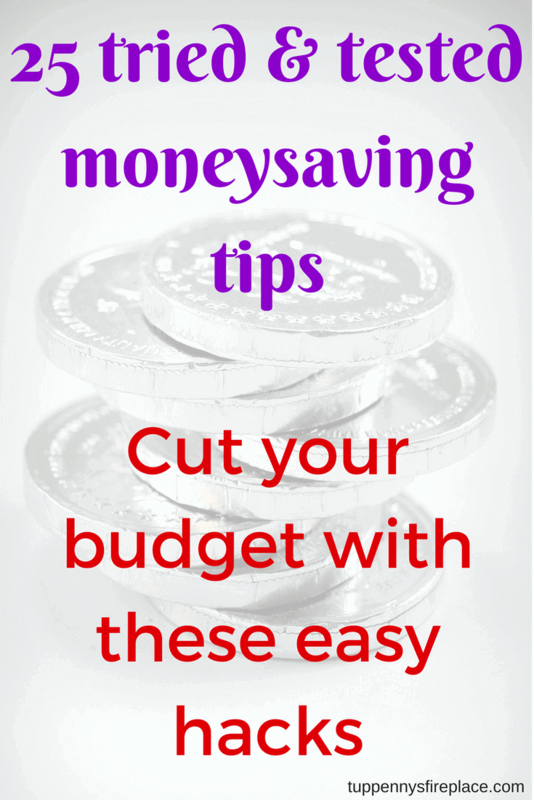 There are many different money saving tips around the house that you can utilise. 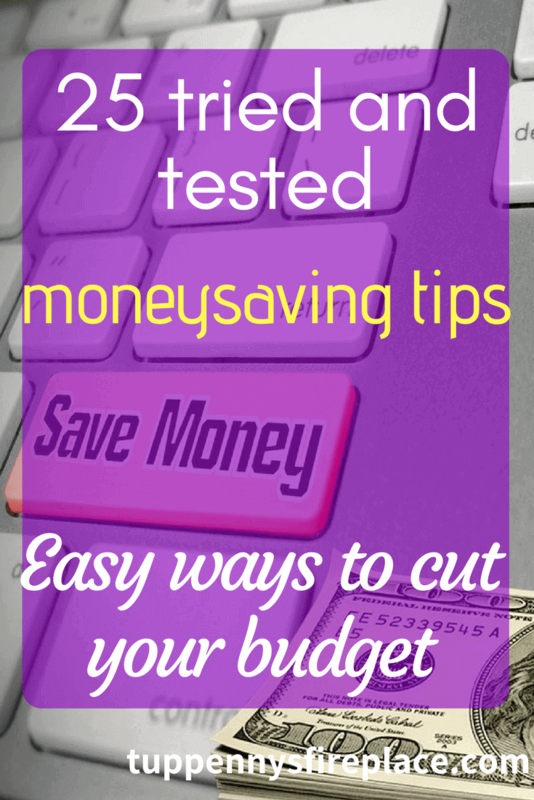 Some of the best ways to save money are the ones that mean just a slightly different way of doing things. Saving money is often very simple. It’s not complicated or difficult. Quite often it is about going back a little, to perhaps your parents or grandparents time. Following the traditional frugal living tips that your grandparents used isn’t really doing things differently, it’s more about getting a bit more hands on. 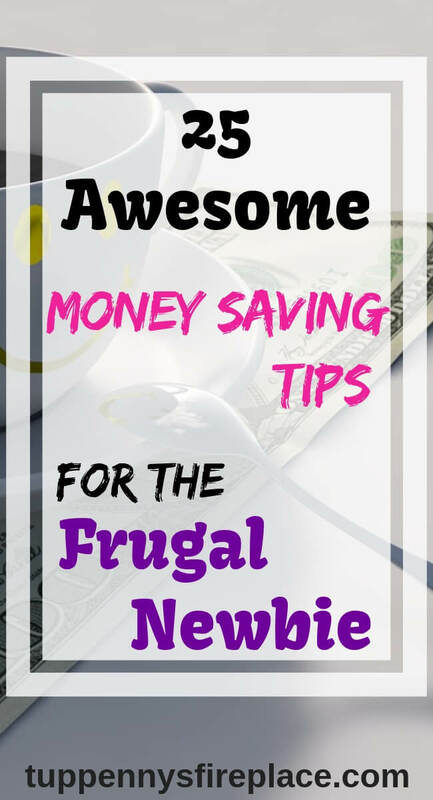 To embrace some of the frugal ways they took for granted as being every day activities. Tumble dryers are expensive to buy and expensive to run but I know they can make life a little easier. However with a little planning and 15 minutes you can dry clothes outside or inside. Our bedroom doorways are often festooned with hanging clothes – they dry much quicker this way than draped over an indoor airer. All our smalls are dried over my indoor airer which is placed near a radiator for quicker drying. Just make sure you have an air flow – crack open the bathroom window to allow the moisture to escape. Don’t buy lots of different household cleaners, buy one concentrate and decant a small amount into a spray bottle and top up with water. Use as normal in your kitchen, bathroom and everywhere else you would use a spray cleaner. Your concentrated cleaner will last for ages! I use a concentrated cleaner and one bottle will last me more than a year. Again you are reducing your use of plastic bottles with this household money saving tip so give yourself some eco brownie points for this frugal habit. Most bags can be re-used a good number of times if you wash them out with soapy water. In my frugal home I have a short line in the garage where I hang them to dry but you can dry on your drainer. An added bonus with this household money saving tip is you are helping keep those plastic bags in use and out of the rubbish. We’ve all seen the pictures of oceans awash with plastic. When my bags and plastic boxes reach the end of their lives, I am now replacing them with these eco friendly storage bags. They take up less space than boxes in the freezer – means I can cram more in! I know you can buy these fairly cheaply but if you can save a £ why not do so? Use a microfiber cloth, rinse and repeat. Bung in the washing machine on a regular basis. As above, you are squeezing your spending here so forget surface wipes and go old style with a microfiber cloth. I like these ones as they are small enough to use easily, dry quickly and use a different color for different jobs (toilet, kitchen sink etc). 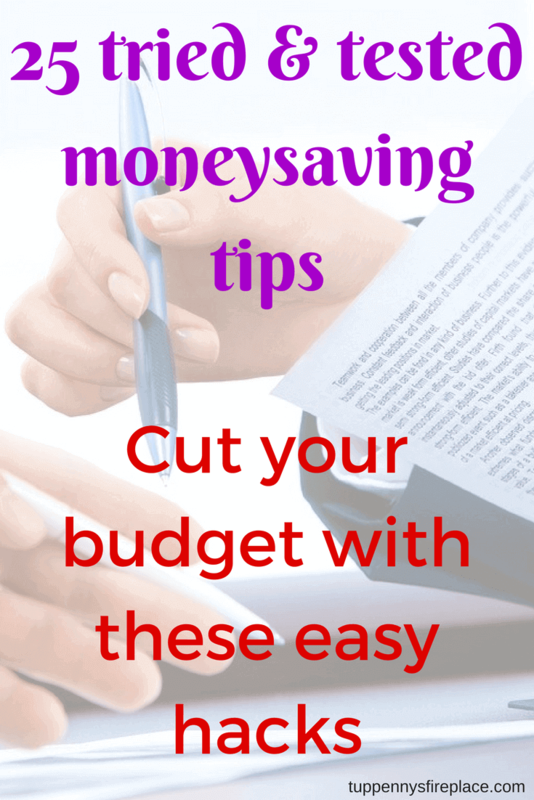 Some of the best ways to save money are when we are out and about. If you are thinking how to save money from salary every week then you are spoiled for choice. 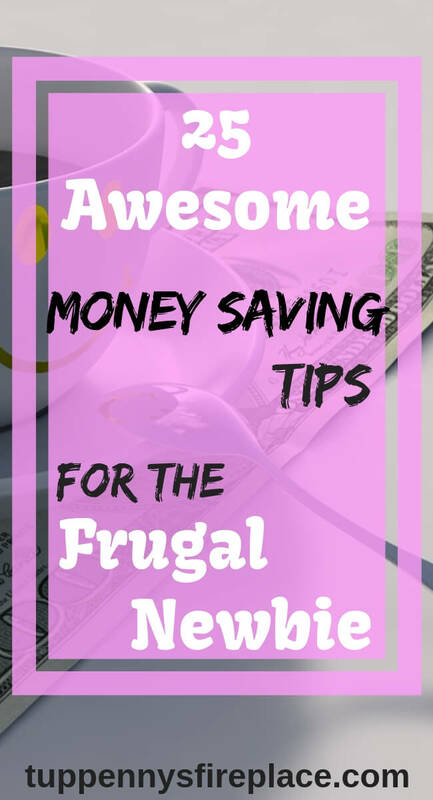 Some of the easiest things to do are the frugal money saving tips which don’t require you to make massive changes. Often, subtle, small changes are all you need to save money. If you are out and about and think you might want a cuppa, take you own! I have a great flask which goes everywhere with me, work, car journeys, walking. I’ve had it for 7 years now and it’s still going strong. Best travel flask I’ve ever had. Why would you want to pay £2 or more for a teabag, pay yourself £2 instead. I can’t even calculate how much money I have saved over the years with my flask. I also use it at work which has saved me £1.70 for every cup of tea. And I drink a lot of tea! Depending on your hair style, this could be a big saver. Mr2p has used clippers for years to give himself a haircut every 5/6 weeks. He has also cut my hair for the past 10 years! Why not check out YouTube for tutorials to cut your own hair or swap hair cutting skills with a friend or partner? Great for books for all the family including non-fiction books. A great place to take little ones for story time, choosing their own books etc and its almost all free. You can also rent DVDs although not always the latest and the newer the film the more it costs (£1 – £3). Using your local library is both an eco friendly and frugal money saving tip. Books are reused time and again and you are not buying books thereby saving money. The best money saving tips on food I can give you are to cook at home and cook from scratch. But we all eat out occasionally so how can we save money when we do so? Choose restaurant that offers a meal deal or money off coupon. This might mean going at a slightly earlier time or not on a Saturday but that’s all doable isn’t it? When shopping online you can earn cashback on many purchases by going via an online cashback site. This is a fantastic way to save money because you are not doing anything different in terms of what you are buying. Just an extra click or two to go via the cashback site. I use Quidco and Topcashback and have earned over a £1000 in the past few years. Ibotta and Swagbucks are also great sites where you can save money and earn cashback. I see other people reporting huge sums of cashback earned but this means they are also spending a lot. Cashback is great as long as you were going to buy it anyway. Its not super expensive to park in many towns but why pay £2 in one car park when you can park for free in another? You can also often park on a side street a few minutes away and walk in to town (a healthy bonus). If you are stressing about spending money but you are committed to going out, perhaps it’s your best friends birthday? Why not reduce your stress by volunteering to drive or be the sober chaperone? You could save on the alcohol, the taxi fares and the hangover – triple win! I bet you have just as much fun as well. Another money saving tip for travelling is to go back to basics with washing your car. These days there are so many hand car washes around as well as the DIY option at many petrol stations that you are spoiled for choice. As long as you are willing to spend money. Why not save money and take the alternative option to do it yourself? You could easily save £10 or more depending on whether you clean the interior as well or just exterior. You go to work to earn money to live your life. If you won the lottery would you still work where you do and for the hours you do? You want to keep as much of the money you earn to spend on your life not your work. 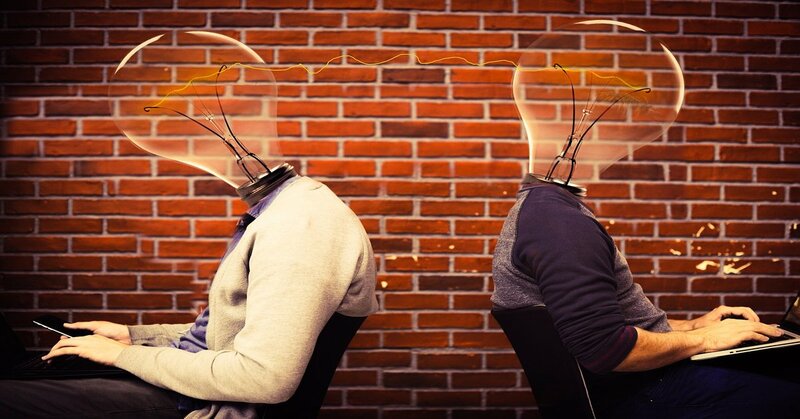 Reducing the costs involved in you working leaves you more money for your life. If you can save money every day at work then it is costing you less to work and you keep more of your hard earned cash in your pocket. The frugal money saving tips below don’t include the usual cost reducing ideas of walking or biking to work. Working in an office you can often wear most things, but this means you can end up wearing all your nicer things to work then feel like you need to buy something new for going out. Why not create your own work uniform revolving around base colors such as black or navy trousers/skirts and jackets along with a number of blouses/shirts? Go one step further and purchase them from charity shops. You also save decision making time in your morning routine. 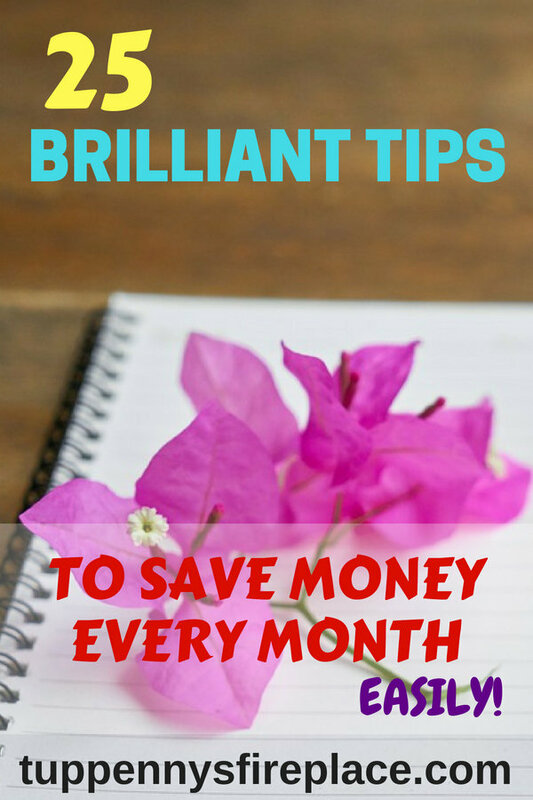 This is one of the best ways to save money that I have used. I created my own work uniform over 10 years ago and probably spend about £50 a year on work clothes. 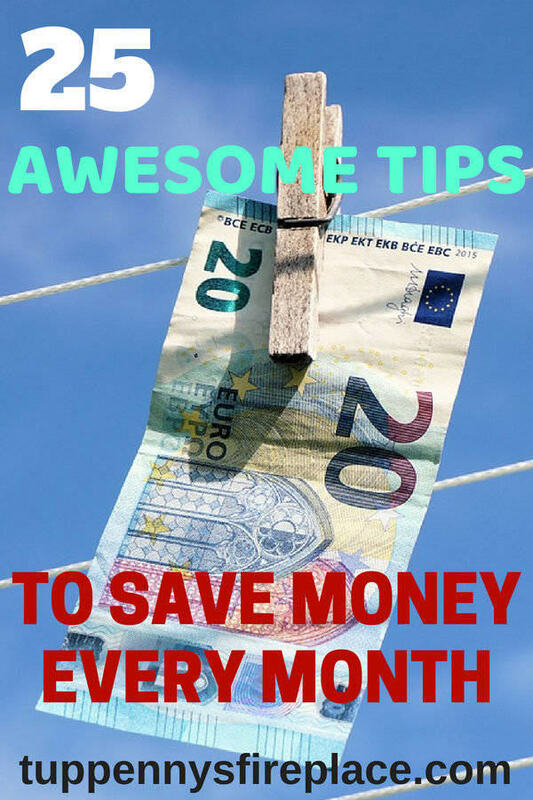 I would say this is one of the best money saving tips you can embrace. Unless you are already wearing a work uniform! I am sure you know about this one already, take 10 minutes to make a sandwich or salad each morning or evening, throw in a couple of snacks and you are done. 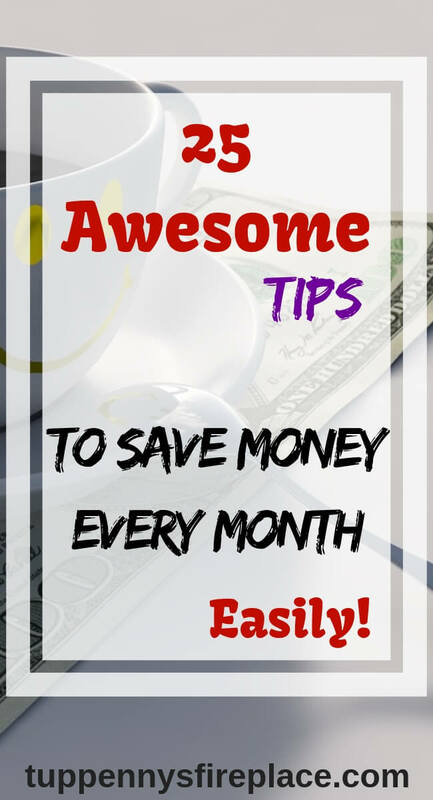 There are plenty of money saving tips on food that you can look at. A packed lunch is one way you can save big money straight away. You can save upwards of £3 a day taking a lunch bag to work. This is in line with the above tip. My current office has a canteen and vending machines. I have worked there 3 years and not once visited the canteen, not even for a cup of tea. Always bring your own and save your pennies. If you are not on a fixed rate for your gas and electricity chances are you are paying over the odds. These days its really easy to switch utility companies all of it online and a few clicks of your computer. Make a note of when your fixed rate ends and start looking a few weeks before this. There are price comparison sites you can use to compare all the prices in one place. Why pay more for your electricity and other utilities when you can save money and keep your energy bills low instead? You might not have the choice of different water companies to switch to but you can still save money on your water bill by being more careful with your usage. This can take a little time but never get yourself stuck on your lenders variable mortgage rate, you will end up paying over the odds. The best way to save money on your mortgage is to start looking around for a new deal 6 weeks before your existing one ends. With a re-mortgage, new deals often include many of the fees so there isn’t even much upfront money to pay to switch, if any. With the extra money saved by switching you could even consider making overpayments in order to become mortgage free. Banks are constantly offering headline leading rates to draw you in to opening an account with them only to drop the rate a year later. Don’t get caught like this, keep moving your money around to get the best interest rate. There are probably more than 250 money saving tips for groceries alone. Many are centered around reading the small print, being flexible in your meal plan and making sure you plan your shopping. If you go shopping without a plan, list or on a whim you are likely to spend more money than you wanted to. Check the shelf edge label for the cost per kg/lb. Some supermarkets are sneaky as they show similar products with a cost per kg then others with a cost per 100g – usually the more expensive option. As there are 1000g in a kg I don’t fall for that one and do the maths in my head. Sometimes it can be cheaper to buy 2 small packs of a product than the one large one. Sometimes a premium brand is on offer which can make it cheaper than the supermarket own brand. If you are on a mission to reduce costs then don’t be brand loyal, switch to whichever is cheaper as long as your taste buds don’t rebel too much. Buying items reduced in price as they are near their use by/sell by/best before date is a one of the best money saving tips on food I can give you. There is always a margin of tolerance so a yogurt with yesterdays date on is not dangerous or inedible. But do your own research if you have any concerns about food dates! Use what you can and freeze the rest (not yogurt though!) My parents started me on this and I have continued to shop for reduced items. Most ideas for reducing the cost of your food bill start with looking at the balance of protein to vegetables. Protein in most forms, whether meat, cheese or fish, is more expensive than vegetables. Therefore you can save money on your groceries if you reduce the amount of protein you buy and eat. I am a great fan of stretching meat with the use of vegetables, lentils and beans to make it go further. You keep the protein levels high with the pulses but reduce the cost of the meal. A 500g pack of mince will be enough for 8 portions of bolognese sauce by the time I have finished stretching it. Now that’s what I call a frugal meal! An added benefit of stretching meat is that it reduces the calories in the meal and boosts your vegetable intake. I love a good strawberry like most people but only ever buy them in June/July as this is when they are in season, taste the best and are cheap! You can make your money go further by shopping according to the season. It’s usually quite easy to work out when fruit and vegetables are in season as they are that much cheaper. For even more savings why not grow your own food? You can buy all sorts of beans in tins these days; black eye, butter, cannellini and of course kidney beans. You can also buy them dried in larger packs which are usually much cheaper per 100g than the tinned versions. If you spend a little time preparing dried beans then they can be ready to be added to whatever recipe you want them for. At less cost than tinned beans. It is especially important that you prepare/cook red kidney beans properly due to the level of toxins when uncooked – a stomach ache waiting to happen! You can freeze the beans you don’t use straight away or you could soak only enough for your recipe. A 500g pack of dried beans is roughly the equivalent in drained weight of 5 x 400g cans of ready to use beans. All of these money saving tips and ideas could help you shave pounds off your budget today. All are tried and tested by yours truly. Some of them won’t be your cup of tea, Mr2p considers some of them too much faff or too hard, which is why he is not responsible for the grocery shopping! Try them all and keep the ones that work for you and watch your savings grow. 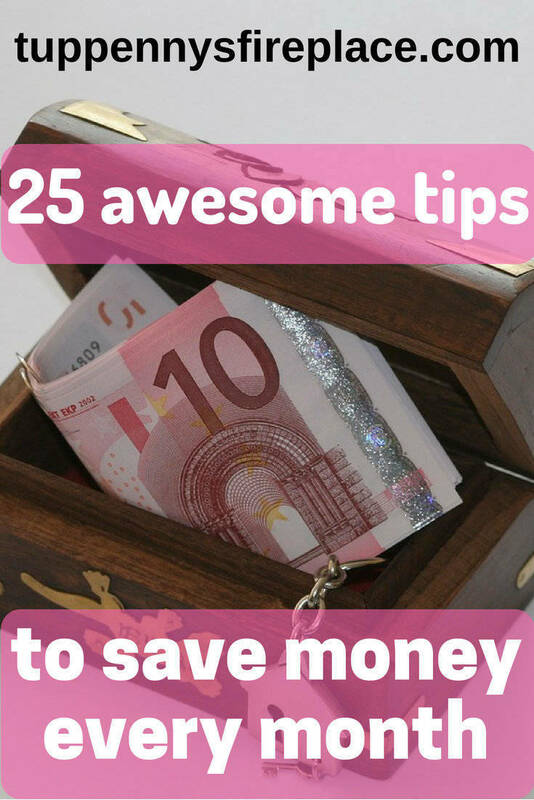 There are probably another 250 money saving tips for you to try but that’s a blog post for another day. Do you have a tip to share? Do you do any of the above as standard or tried and stopped? Why not leave a comment? 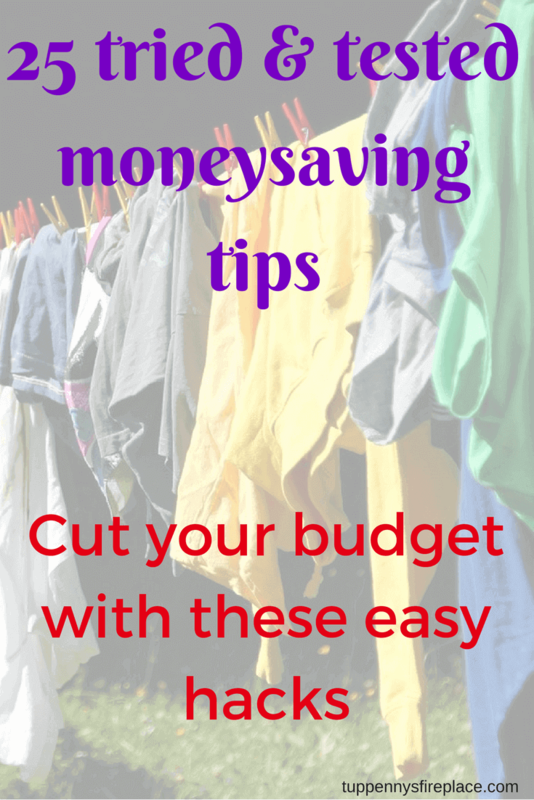 Follow me on Pinterest for more money saving hacks and financial tips!